When ancient humans looked to the skies, they dreamed of flight. When modern birds look with jealousy and annoyance to see who’s making them look like a bunch of chumps, they see RC helicopter stunt pilot Alan Szabo Jr. 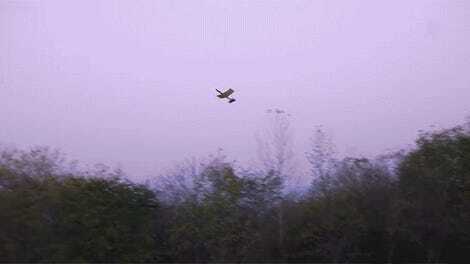 The footage from this flight appears to be sped up. It isn’t. 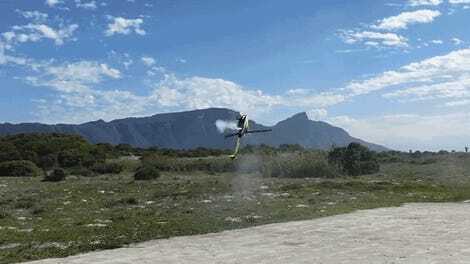 The illusion is testament to the mastery Szabo has developed over 25 years of stunt piloting—and the reason he’s won many RC helicopter competitions all over the world. Frankly, I don’t know the first thing about this sport, but I do know that prior to watching this run almost none of these tricks seemed physically possible.